Small bore rifle shooting encompasses four activities: Rimfire benchrest, 50 meter Sporting rifle, Silhouette rifle, and 10 meter Air rifle. Benchrest, Sporting and Silhouette rifle are all done on Hartman Road rimfire range, which features an enclosed and roofed firing line with five shooting benches and 20 Sporting rifle positions. 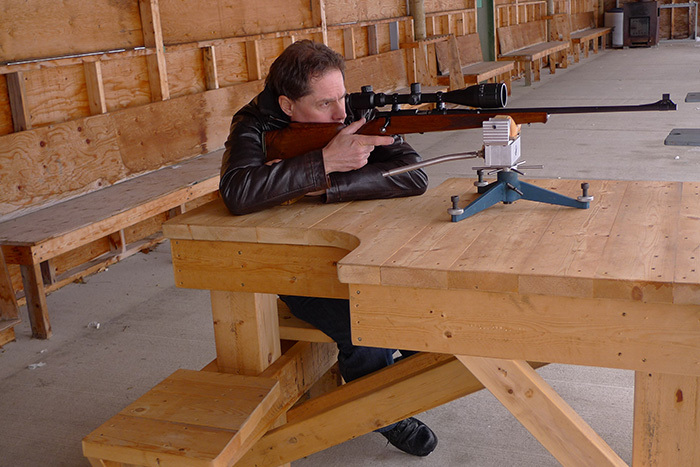 New to the club in 2013, .22lr benchrest shooting at 50 meters is generating interest. Shooters can compete in any or all three classifications — Plinker, Sporter and Unlimited – with different rifles. Plinker rifles are unmodified factory semi-autos, levers and pumps with any sights, including scopes up to 9X. Sporter rifles weigh 8.5 pounds or less and can have scopes up to 25X. In the unlimited class, almost anything goes, including heavy target rifles and any scope. It’s a challenging sport, with a fascinating mix of rifle and ammunition accuracy and shooter ability. 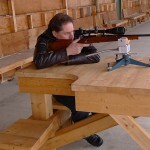 Shooters use .22 caliber rifles and aperture sights to complete a 120 shot (1200 point) match, with 40 shots done in each of the prone, standing and kneeling positions. Although there hasn’t been much activity in this sport recently, the facility is available for those who want to try it. 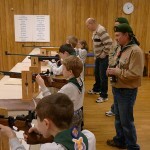 Some clubs around the region also offer Sporting Rifle Competitions, and the sport is featured in both provincial and national championship matches. This is a developing sport, where shooters use different types of air rifles to knock down animal targets placed strategically along a woodland trail. Different air rifles compete in different categories – spring-type and compressed air rifles are the most-used types. Field Target matches can be quite challenging, with different target placements and a variety of shooting positions. 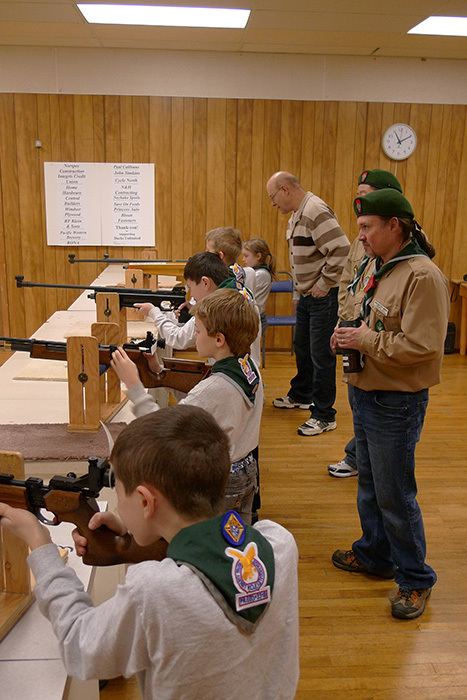 In colder weather, the club offers air rifle and air pistol shooting on its eight-position indoor range. Airgun matches (rifle and pistol) are shot at 10 meters, and consist of 60 shots for a total of 600 points possible. It sounds easy, but in air rifle, a perfect shot has to hit a “10” smaller than a pinhead on the target. These recoil-less competition rifles are the most accurate in the shooting sports. Indoor airgun silhouette also has a following. This sport involves shooting at scaled-down metallic chickens, pigs, turkeys and rams at different distances.